even its use for direct reduction of iron ore in steel production is discussed today. Similar to natural gas, hydrogen can be stored loss-free and transported with small energetic effort and space requirement in pipelines. It allows to provide urban areas safely and efficiently with large amounts of renewable energy. 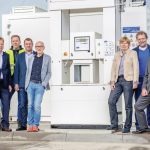 Road transport is also common, and latest developments have increased trailer capacities for compressed hydrogen to the order of one ton. Given this flexibility, hydrogen is THE medium for interlinking sectors. 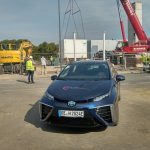 Hydrogen is used as fuel for fuel cell-driven electric vehicles, whose energy consumption is much lower than that of vehicles with a combustion engine – even half as much in the case of passenger cars. Fuel cell vehicles are emission-free and allow for brief filling times paired with large crusing ranges. Use of wind and solar energy in the hydrogen generation allow for a completely renewable mobility combined with operational freedom: This is also valid for the rail transport on non-electrified lines and for storage logistics. In addition, there are already demonstratrors for inland waterway transport and short-haul flights. 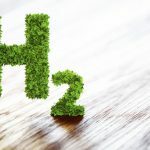 Due to the high efficiency of fuel cells compared to ICE, even the use of hydrogen, which gets reformed from natural gas, or the use of by-product hydrogen from chemical processes, already has a climate protection effect. The technologies connected with hydrogen, electrolysis and fuel cells, feature growing efficiency, decreasing costs, moderate use of resources, simple structure and low-noise operation. Fuel cell use is spreading – from emergency and off-grid power supply to decentral combined heat and power (CHP). 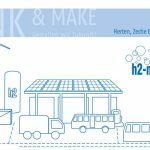 The metropolitan area Ruhr already shows a high competence in the field of hydrogen and fuel cells technologies based on its industrial experience. Several resident companies and institutes are involved in research and development. 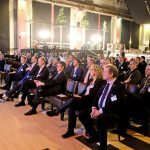 It targets to enhance and develop these approaches to establish the metropolitan area Ruhr as a leading region in the hydrogen and fuel cells sector. Hydrogen technologies will generate increasing added value in the next decades. It will create and maintain jobs.